Notice that the MGraph uses the alias set up in the customer to assign it to the Order. This way that MGraph (or testing data in my case) does not need to ever know about generated ID's. The SQL generation in the M Executor (mx.exe) takes care of that for us. There is a fundamental problem with this though. Two things to notice in the MSchema example, the relationship is defined in the parent not the child. The Customer type now has a property called Orders that is of type "Order*". So that the Customer is expected to have a list of orders. In the Customers extent, we create the constraint to say that each Order in the Orders property is in the Orders extent. (A bit confused by the identical naming but I think you can make sense of it). 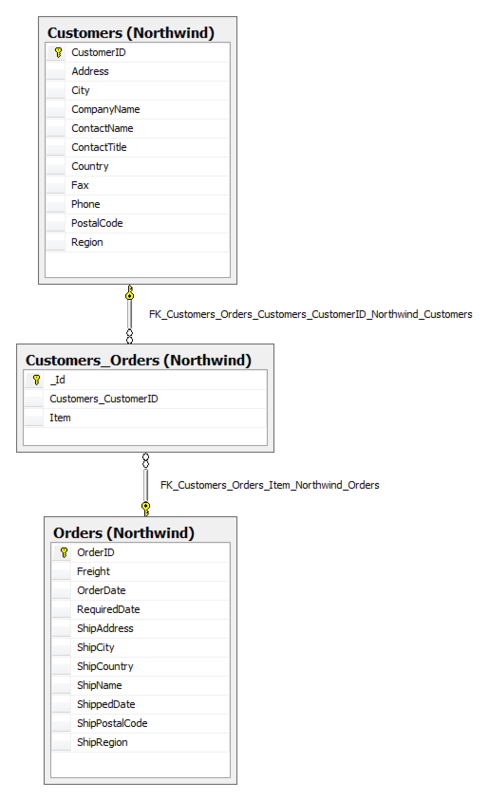 Note that the relationship is now represented by a mapping table between the Orders and Customers. At first I thought this was just a mistake, but in fact its the right thing to do. Why? Because the MSchema language has no way of us telling it that the Orders are a type that are naturally 'owned' but Customers. In other words, Orders will have one and only one parent: Customers. Since MSchema can't describe that, it does the right thing and use a mapping table to establish the relationship so that other objects that contain Orders can establish their own relationship. I'd love to have a way to have my cake and eat it too. 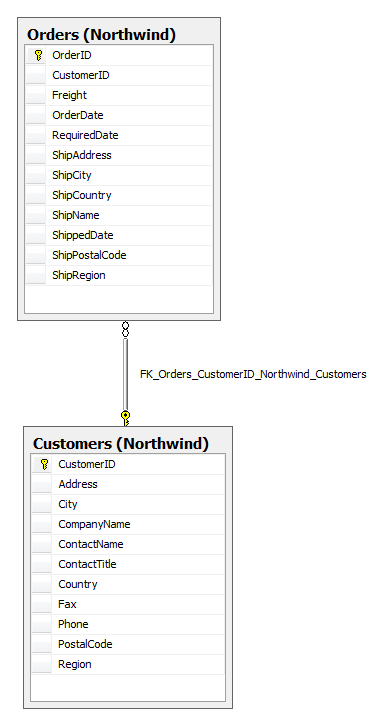 If there was a way to specify that we were the one and only owner of a particular relationship, then it could create the SQL in a smarter fashion, but that feels like its trying to be too smart and might cause confusion. If you want to play with the two styles, I've included a .zip file (linked above) with the two "M" files.